the nytpicker: Ethan Bronner Attacks Israel, Says Country Should Be "Ashamed" For Media Blackout. Ethan Bronner Attacks Israel, Says Country Should Be "Ashamed" For Media Blackout. Did Ethan Bronner go too far in publicly attacking Israel, the country he covers for the Times? "Israel has never restricted media access like this before, and it should be ashamed," said Ethan Bronner, the New York Times bureau chief in Jerusalem. "It's betraying the principles by which it claims to live." Harsh words for a reporter whose job is to objectively cover Israel's government and its policies. It betrays the principles by which reporters are supposed to work -- especially given the fact that today's story, "Israel Keeping Reporters From Close Look At War," is presented as a news account, not as editorial commentary. There's no question that the circumstances Bronner describes are brutal for a working journalist. Eleven days into the war, Israel has done everything it can to control and manipulate the journalists assigned to cover it. Bronner reports that reporters are kept away from the actual fighting, and instead only given access to sites where Hamas rockets have ravaged civilians in southern Israel. Today's Times story reflects a balanced, if implicitly frustrated view of the media restrictions, and demonstrates Bronner's pedigree as a former Middle East correspondent for the Boston Globe, and years spent as an editor on the Times's foreign desk. But by speaking out in the Jerusalem Post, Bronner risks inflaming an increasingly vocal pro-Israel faction in the United States that contends the Times is biased toward Hamas. In the past week, the Fourth Estate’s Hamas cheerleaders have stripped away any pretense of being honest or neutral, with the New York Times continuing to take the side of the terrorist group in one of the most shameful journalistic episodes I have ever seen. 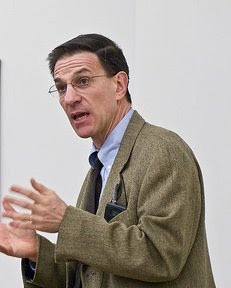 Emmerson cited as one example Bronner's recent statement to Times Public Editor Clark Hoy regarding the use of the word "terrorist" in the Times: “Our general view is that the word terrorist is politically loaded and overused,” Bronner told Hoyt. Bronner's public broadside against Israel will likely only incite more attack on the Times's coverage of the Gaza war. Next time Bronner is feeling angry at Israel, maybe he should try kicking his dog. Actually Bronner is not saying enough about Israel's abuses and what a big, nasty bully Israel is. We need to dig into Bronner's bio to find out any possible background linked to Israel and his hidden appreciation for this nasty country. Any regular chewing gum person can tell what Israel's problem is: they are stealing land and natural resources and oppressing people much like the Germans did to Jews. But nothing is new, US of A's media always supports any bullying done by Israel, this in addition to arming Israel and supporting this country's nasty ways. Gladly the world is not full of stupid people and now everybody is waking up and smelling the Israeli stench. All Jew haters are Anonymous!!! Show your ugly face!! !